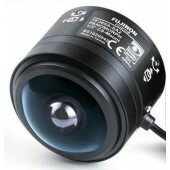 Fujinon have realeased the world's first fisheye lenses that provide wide-angle 185-degree omnidirectional coverage for cameras equipped with 5-megapixel CCDs. The use of an f-Theta system optimized for uniform image display results in clear, crisp images that support easy processing by image software to produce high-image-quality displays. 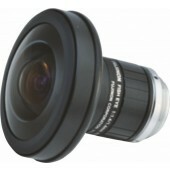 1/2" Panomorph Lens. Focal length 1.3 mm. Focus Manual. HD 5MP. Day & Night. DC Auto Iris. 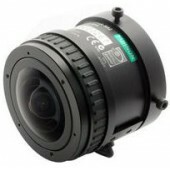 CS Mount. Aspheric Technology.